Wilmslow is a stunning town in Cheshire and is a commuter belt to Manchester, we get a lot of calls from customers that fill up with the wrong fuel in Wilmslow and the surrounding areas all the time, so you're not alone! 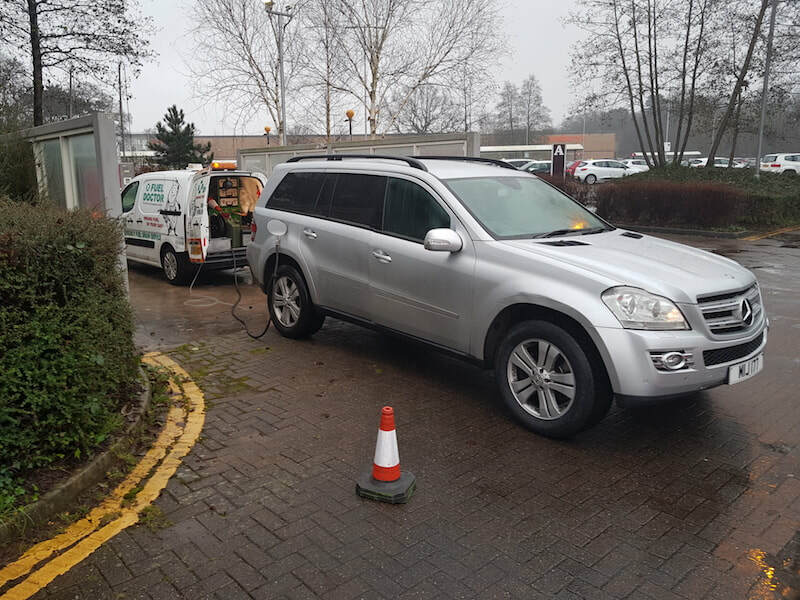 Ms Carter had what she called a "blonde" moment in her Mercedes GL by literally filling up to the top in Sainsburys in Wilmslow town centre. She called us out and we were cleaned through the engine and got her back up and running and on the road again. She loved our service and our response time as she had frozen shopping in the boot!